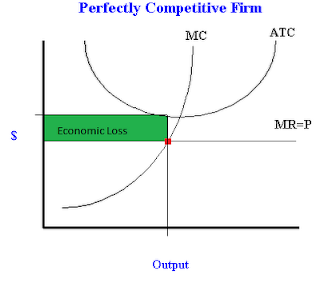 A perfectly competitive firm competes with the government - FreeEconHelp.com, Learning Economics... Solved! Here is a question I recently received about a perfectly competitive market and the introduction of government produced goods. What are the relevant economics??? 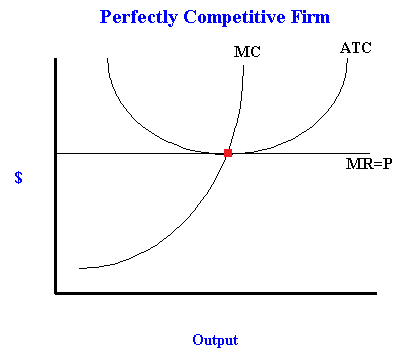 "Assume that hotdogs are produced in a perfectly competitive industry where firms that currently operate and potential competitors both have identical cost curves. Current output is 1 million units a year. What happens to industry equilibrium if a public agency competes with existing producers of hotdogs and gives away 100,000 units per year to randomly selected people who would otherwise have purchased hotdogs. Does the output of hotdogs fall in the short run? In the long run?" While there are a couple of different ways to go with this, I think the most economical approach would be to assume that this government giveaway of 100,000 hotdogs per year would result in a decrease in demand. 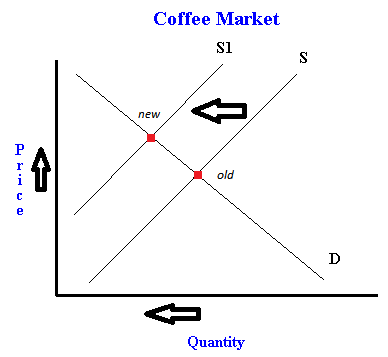 This decrease in demand would result in both a lower equilibrium price for hotdogs, as well as a lower equilibrium quantity. To see how this works, check out an example of decreasing demand here. This decrease in the in the equilibrium price will result in a decrease in the price (or marginal revenue) line received by the perfectly competitive firms because they are price takers. Assuming that the market was in long run equilibrium to begin with, this drop in price will result in an economic loss forcing some firms to leave the market. 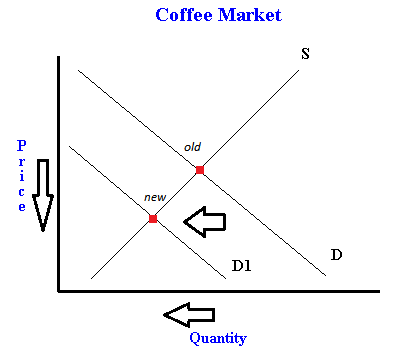 This will occur until there are enough firms left to produce the given quantity of goods needed as demanded by the market. As firms leave the market, we will see a decrease in supply, because the number of firms in the market is decreasing. 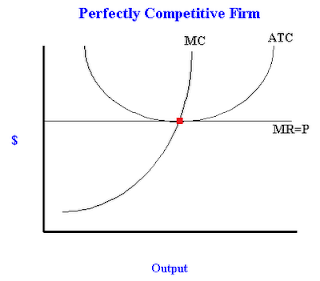 This will result in a higher price and MR for the firms remaining, until the price again reaches long run equilibrium with MC = MR = ATC. So, in the short run, the number of hotdogs produced definitely goes down as firms leave the market because they are making an economic loss. However, in the long run, the TOTAL amount of hotdogs produced declines, but the amount of hotdogs produced by each firm will stay the same. The reason we have less hotdogs in the total market is because some firms have left the industry. This question is a perfect example of government crowding out. By giving away hotdogs, the government is forcing some businesses to close because of the lower prices received for the remaining hotdogs (due to the decrease in demand). While the market can compensate by lowering the number of firms in the market, we see a decrease in hotdogs produced by the market in both the short and long run.